It is a constant fascination to see how families have evolved and especially when they very clearly demonstrate behaviours that confirm the Darwin “On the Origin of Spevies” theories which goes on to say that traits and behaviours are inherited as part of the evolution of the species. The full title is of course “On the Origin of Species by Means of Natural Selection, or the Preservation of Favoured Races in the Struggle for Life” first published in 1859 and argued over ever since by religions across the globe. With the discovery of the DNA structure the biological evolution of families is now unquestionable or unarguable. But what of the intelligence,and especially the emotional intelligence of families? Are those traits also handed on through the genes? It is said by some to begin with the father but is it true? The argument is that fathers in most cases, are the first module of our behaviour and attitudes and that we in the majority of cases try to emulate their good qualities but also copy their bad behaviours. Looking at some of the “leading families” involved at the very top of political life both here in the United Kingdom and in the USA it is easy, in fact very easy to find no exceptions to this. 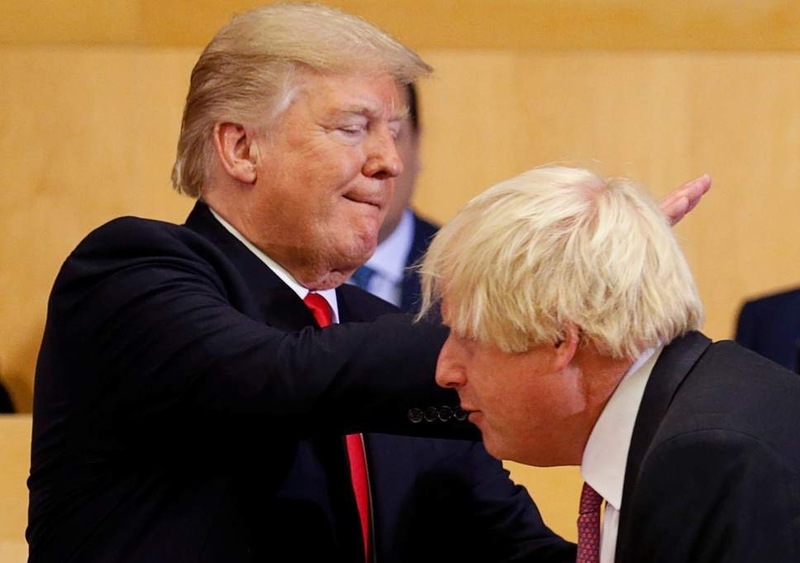 Watching the behaviours of the Johnston and Trump families it appears to demonstrate the saddest of tales that their children emulate their fathers just as it appears they in turn emulate their fathers before them. Perhaps this is unfair to fathers because an argument could be made that in reality it begins with both of the parents and not only the fathers. It is a story of an inability to tell the truth, keep promises, honour agreements made in the past and the pursuit of self-interest and an ability to forget what they have said or done when remembering proves to be inconvenient. Add to that total emotional absenteeism and lack of understanding of the consequences of their actions driven by their own narcissism and you have all the hallmarks of a family of mis-functioning sociopaths. Perhaps what is the saddest thing of all is that millions believe them. But that’s the ambition of the sociopath to be plausible and as they all have clearly demonstrated the best way to be plausible in delivering their a constant stream of spite and lies is to sprinkle throughout them a small element of truths.